Here I have mentioned full form of BJP. 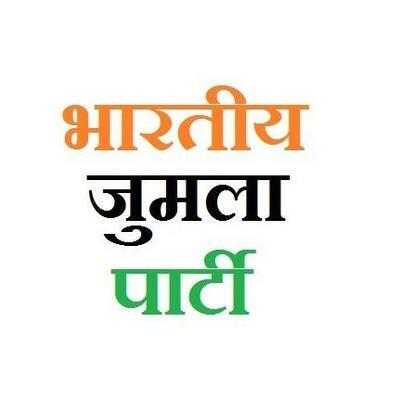 This may taste more to Narendra Modi Ji as he likes giving new names! But I do not have access to #Modi, if you have then please send him my work. 10. Break junta Promise - ब्रेक जनता प्रॉमिस. 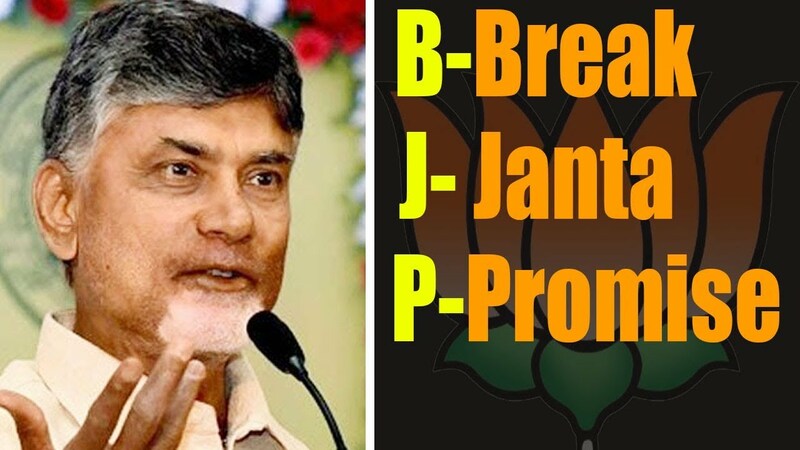 Andhra Pradesh se someone shouted. If I mix two names then बहरूपिया जुमला पार्टी (Bahrupiya jumla party) works best! No? 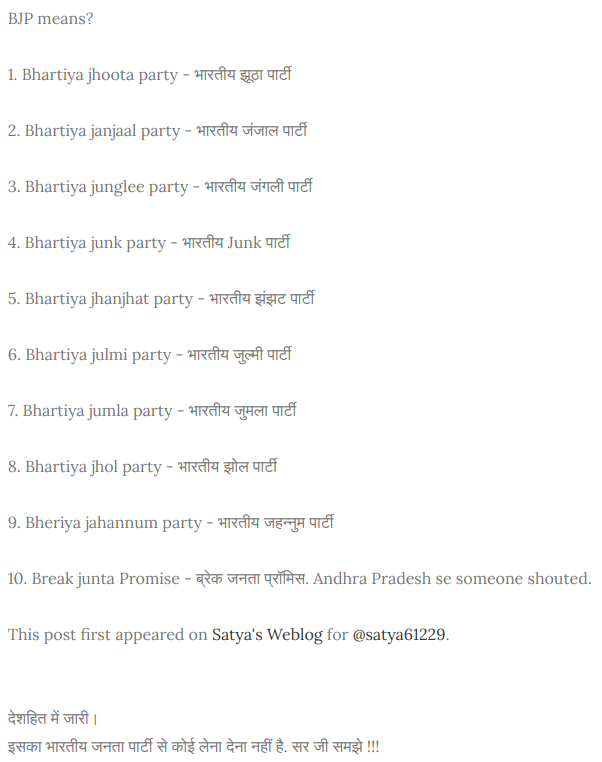 This post first appeared on Satya's Weblog for @satya61229. बातो बातो में। If you want to suggest more than please do so on Twitter. इसका भारतीय जनता पार्टी से कोई लेना देना नहीं है. सर जी समझे !!! Image form if you would like to distribute it this way! Credit appreciated. New updates are missing in this image.